Announcing that he needed to speak now, former finance minister Yashwant Sinha has lambasted incumbent Arun Jaitley and the Narendra Modi government’s economic policies. His right to criticise whoever or whatever is inalienable, but since he gave his tirade the garb of "national duty", it is worthwhile to look at his own career graph to understand his contribution to the national good. Some people are born with a silver spoon in their mouth. Some tend to acquire it. But Sinha belongs to a unique third category of a career-bureaucrat-turned-career-politician who is not content with merely acquiring the silver spoon but wishes to perpetuate it for his progeny. Sinha’s politics has always revolved around his own personal interests. As a bureaucrat, he cleverly got close to those in power to get the best positions for himself. He cultivated his image as a poor man’s bureaucrat in his initial days as private secretary to the legendary Bihar chief minister Karpoori Thakur. Sinha cycling down to his office in Patna became the stuff of a legend. After a long stint in the bureaucracy, he found a political mentor in Chandra Shekhar and took voluntary retirement. Given his association with Karpoori Thakur, he was firmly ensconced in the company of socialists who coalesced under VP Singh into a united front against Rajiv Gandhi. Sinha was a known acolyte of Chandra Shekhar. In 1989, when Singh became the prime minister, he invited Sinha to take oath as a minister of state, presumably for national duty. But Sinha declined the offer because, he believed, he deserved more than a minister of state rank and did not attend the swearing-in ceremony. Of course, Singh’s government was toppled and Chandra Shekhar took over as the prime minister with the help of Congress. Sinha was made the finance minister for four months in which he took a critical decision of mortgaging the country’s gold to avoid the balance of payment (BOP) crisis. Being a career bureaucrat, Sinha was quick to realise the futility of sticking with Chandra Shekhar after the 1991 Lok Sabha elections. And he found his new mentor in BJP’s then rising star, LK Advani. And then began Sinha’s journey to political stardom on account of his proximity to Advani. In the early nineties and particularly in the post-Babri mosque demolition phase of politics, BJP was in an expansion mode and roped in people from different walks of life. Given Sinha’s experience as a bureaucrat and his eloquence, he was put up to defend the party’s position. In the party headquarters on the Ashoka Road in Delhi, Sinha could be seen diligently attending the office in a manner reminiscent of his bureaucratic days. He was available from morning till late evening to attend to all queries of journalists. 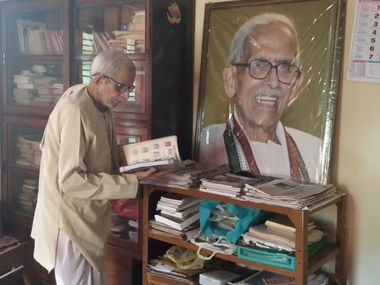 But what particularly endeared him to BJP leadership, particularly Advani and Rashtriya Swayamsevak Sangh (RSS) was his pronounced "Swayamsevak-like qualities". In Marxist terminology, he declassed himself and literally imitated the RSS volunteer. In the party’s executive meets or other functions, he would stay at the party workers' house and shun opulence. His demonstrative thrift earned him a place in the Swadeshi Jagran Manch (SJM). In due process, he emerged as a votary of RSS’ Swadeshi views espoused by the then RSS general secretary KS Sudarshan. And this line paid off rich dividends when in 1998 Lok Sabha election, Sudarshan arm-twisted prime minister Atal Bihari Vajpayee to choose Sinha as finance minister instead of Jaswant Singh who had lost the election. In the Vajpayee government, Sinha realised the significance of being close to RSS and played his cards accordingly. In those days of running feuds between the Vajpayee government and RSS-sponsored SJM, Sinha donned many hats. He tried to be a reformer as finance minister by introducing new labour laws, aggressively pushing for disinvestment and facilitating the Mauritius route for companies to avoid double taxation. At the same time, he also pandered to SJM’s world-view. In BJP, however, his stint as finance minister was frowned upon by top leaders who decided to remove him. Just a fortnight before his removal as finance minister, Sinha had stopped going to his office and was operating out of his Kushak Road residence. In one of my conversations with a BJP leader, I was told about Sinha’s “untenable position”. 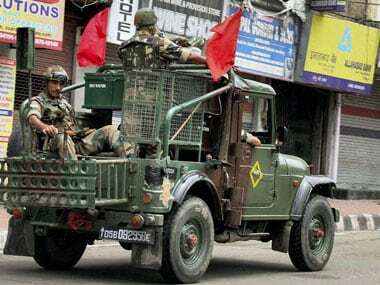 I met Sinha at his residence and asked if he had any intimation of his removal. He said, "I have not yet been told but I can see the signs and that is why I have stopped going to the office." He looked quite forlorn and worried. However, Sinha’s worry dissipated once he realised that he would be given the foreign ministry. "Now I have to learn how to pronounce names like Condoleezza Rice (the then US secretary of state)," he told me after the announcement. 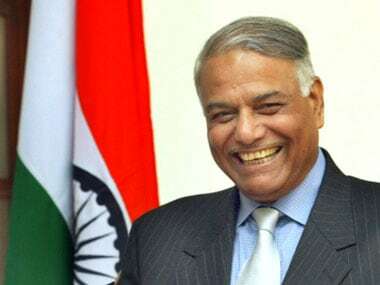 Till 2004, Sinha enjoyed his stint as the foreign minister. He lost the Lok Sabha election in 2004 and started looking for a new role. 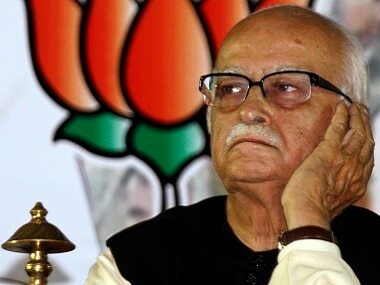 In 2005, Advani took over as BJP president and the leader of the Opposition in the Lok Sabha. The same year Advani had a run-in with the RSS led by Sudarshan following his visit to Pakistan where he had described Jinnah as secular. Instantaneously, Sinha dumped Advani and issued statements running him down. He found Advani’s mentorship expedient at the altar of proximity to RSS. 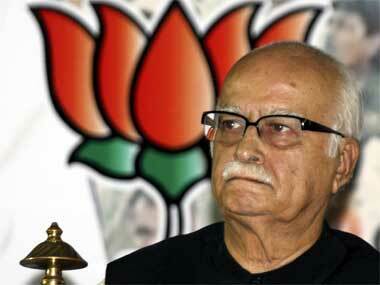 In the changing dynamics of RSS-BJP relationship, Sinha preferred RSS over Advani. At the same time, Sinha was clever enough not to alienate Advani totally. After his stinging statement against the veteran leader, he went to meet Advani at the latter’s residence and apologised for his indiscretion. "Advaniji, I will not step in if you are still angry with me for what I have done to you,” he told him in his first meeting after the Jinnah back-stabbing. Advani himself told me about this. Sinha survived within BJP as a Rajya Sabha MP by managing power centres quite deftly. He again assumed prominence while steering BJP to oppose the nuclear deal in the company of Amar Singh, Sitaram Yechuri and (the late) Digvijay Singh. In this whole issue, BJP ultimately had egg on its face. Sinha found negotiations of his future politics quite tricky soon after Modi emerged as the consensus choice for prime minister. Like Advani, he did not attend the Goa national executive (2013) which endorsed Modi’s candidature. Though he was close to the then-BJP president Rajnath Singh, Sinha could not read the writing on the wall as well as he used to with others. Sinha, however, tried to make up for it by negotiating with the new BJP leadership for a ticket for his son, Jayant Sinha, who was made a minister of state for finance after Modi became the prime minister. Sinha was far from being content with that though. If senior BJP leaders are to be believed, he was hankering for a prestigious assignment for himself in the BRICS bank. He occasionally struck a note of dissonance with the government to stay relevant in the ongoing anti-Modi campaign launched by the Opposition. With the next Lok Sabha election drawing close, Sinha like a seasoned career-bureaucrat is once again at his favourite game: managing the precarious balance of power centres for his own end. Given his history of overzealously pursuing his personal interests, the merit of his arguments on the state of Indian economy lose significance and should be viewed as a part of his personal agenda.